It is no secret that the Middle East has been influencing Western music for the past 50 years. Ever since The Beatles’ first trip to India, Western Music has been borrowing from our Eastern Cousins. From the trickle-down effect The Beatles had to the 808 interpolated Bollywood beat in Jay-Z’s Big Pimpin’, arabic drum samples can be heard in all genres of Western music. The Timbaland Tabla spawned a thousand imitators, and now Hip Hop and Arabic samples seem to go together like peanut butter jelly. This article is going to explore some of the best collections of arabic drum samples available to you today. Below is a short list of the arabic drum samples we talk about in this article. Scroll down for more details or click for audio demos. Did we not just mention Timbaland? If you’re looking to compete with the best of the best of the best, you ought to be using what they are too! Real Drum Samples boast a platinum client list featuring producers who work with the likes of Timbaland, Kanye West, Rick Ross and Nicki Minaj. If you are looking to reach the dizzying heights of those platinum artists, you ought to invest in a platinum entrusted sample pack. 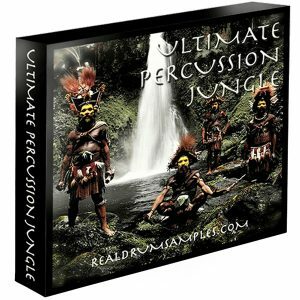 Ultimate Percussion Jungle combines half a decade worth of sample capturing. Included in this pack are more than 400 of the highest quality percussive sounds available on the market today. Real Drum Samples have really gone out of their way to provide one of the most diverse ranges of percussion samples we have ever seen. With Ultimate Percussion Jungle, creating a sonic signature is not difficult. As mentioned in the introduction, when we hear tabla, we think Tim. When we think Iranian daf tambourines, will we be thinking you? 40 individual, obscure percussion instruments, captured with different velocities, allow a realistic percussive groove to be created. This pack is ideal for anybody working with Hip-Hop, Rap, R’n’B, and Urban influenced Pop music. Due to this collection containing one-shots only, this kit is more suited to the programmer producer. The Loop Loft have built themselves quite the reputation for ‘to the point’, reliable loops. You will be happy to hear that World Percussion Loops is no different! This pack contains 107 loops, captured at tempos ranging between 98 and 140 beats per minute. This collection of ethnic hand percussion is a must have for any producer looking to expand their current collection. Forget about the cliché stock ethnic loops found in most DAWs; The Loop Loft is here to save the day! Each loop has been captured at a high quality 48 kHz / 24 bit and is available as WAV, REX2, and AIFF formats. The Loop Loft has expanded the ethnic pallet with this collection of ethnic and arabic drum loops! Whether it is a hypnotic Udu or a Cajon in 6/8, there is a loop in this pack guaranteed to help inspire your next track. The REX 2 formatting allows loops to be dragged and dropped into Ableton Live, adhering to the global tempo set in the session. We lost a great deal of time this way! Stacking various ethnic rhythms and sounds on top of each other can create a dense backbeat. Perfect for creating music for people to dance to! 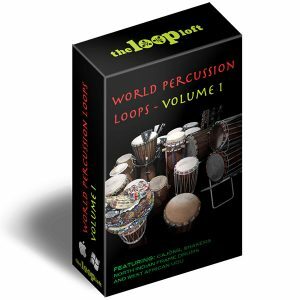 With World Percussion Loops, you are buying into rich, detailed samples full of tone. A great sonic expansion for your library. 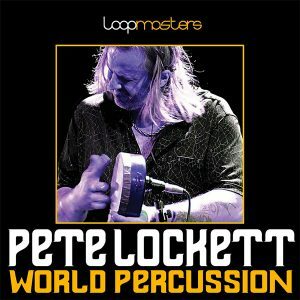 Pete Lockett is one of the world’s greatest World Music percussionists. Can you imagine if there was a sample pack available that combines the percussion sounds you wanted, with the grooves of one of the world’s best? Luckily for us, Loopmasters have got you covered. Pete’s talent has seen him combine Eastern sounds and grooves with Western music. This liquid mix can be heard on records by the likes of Jeff Beck, Peter Gabriel, Björk, Robert Plant and more. So, what is in the pack? This collection contains percussion sets; recorded between 70 and 170bpm, Arabic percussion; recorded at 126bpm, and individual instrument samples. This pack contains over 400 loops and are REX2 formatted, making editing these loops to fit your track a breeze. This pack was made for the producer looking to add the feel of one of the world’s greatest percussionists to their productions, with an Eastern flavor. Pete Lockett. Having access to one of the greatest World Music percussionists inside of your Digital Audio Workstation is a big deal. This pack is jammed full of incredible sounding percussion. Each loop’s performance is flawless. Pete has spent his entire career immersing himself in the culture of the percussive beasts he commands, and it is evident in this pack. With the loops being REX2 formatted, you can break the digital razor blade out, chopping and sequencing the loops to tailor fit your track. You truly have struck gold with this combination of Loopmasters and Pete Lockett. 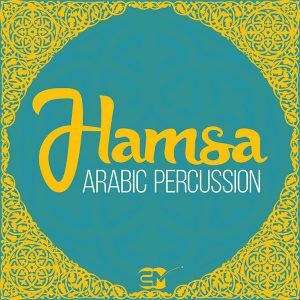 Hamsa Arabic Percussion is a unique collection of percussion inspired by beats and instruments from the Middle East. This percussion package contains almost 300 grooves both traditional and non-traditional from countries such as Morocco, Egypt, Turkey, Jordan, Yemen, Israel. The bundle is divided by instrument and style of playing, ranging from the 85 beats per minute pitch-less doholla loops to the more blistering 208bpm doholla and rick loops in 6/8 time. This collection brings heaps of authenticity, injecting just the right amount of world music into your productions. The obscurity. This is not your typical ethnic percussion pack. 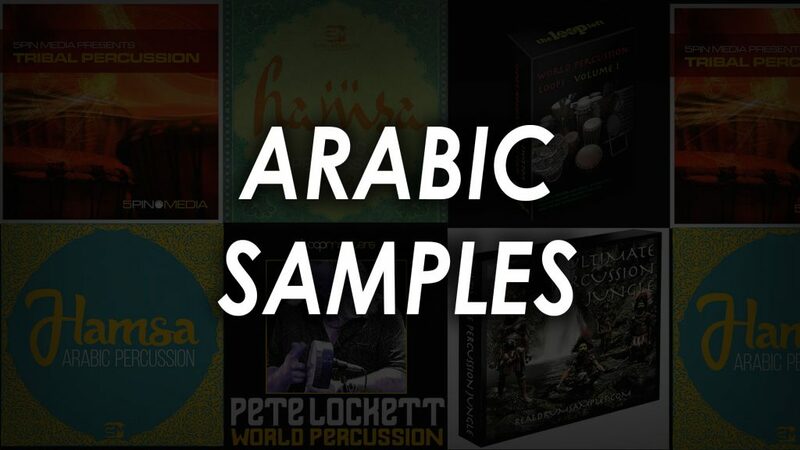 If you look at ethnic/world/Arabic sample packs available on the market, you will fall over the number of samples available for tabla, djembe and so forth. This pack is a collection of authentic Arabic percussion, singling it out amongst the competition. A true, original sounding sample pack. The tonal options this pack provides is vast, too. Whether it is the low drone of a darbuka you need to transform your latest beat, or experimenting with Masmundi 8/4 polyrhythm, Hamsa Arabic Percussion Samples have a flavor for you. Perhaps our favorite component of this entire pack is the fusion collection. Arabic percussion has a hypnotic feel to it, but sometimes it can be quite tricky to mangle into your beat. The fusion patterns are Arabic patterns mixes with a western feel, allowing the spice from the Middle East to be sprinkled onto more Western flavors. 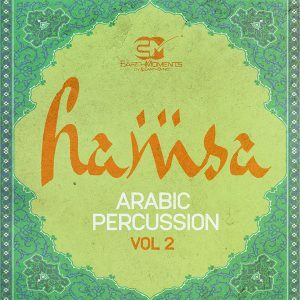 Earth Moments build upon the quality of Hamsa Arabic Percussion and take it a step further with Hamsa Vol.2 Arabic Percussion. This collection is an exploration into the mystical world of Middle Eastern percussion and grooves. Vol. 2 offers a broader spectrum of hypnotic grooves and unusual rhythmic Eastern patterns to choose from. Vol.1 brought just shy of 300 grooves. Vol. 2 adds over 900. Earth Moments have provided three times as many hand drum grooves and rhythms, without sacrificing the quality at any step. Perfect for any producer looking to add authentic world music grooves to their productions. Having more! We were fond of the authenticity of Vol. 1. Vol. 2 builds upon everything we loved about the original and provides more groove and rhythmic variety. The loops range in tempo between 80 and 140 beats per minute, allowing the samples to be dragged and dropped into most Western-based tracks with ease. We would consider this pack to be the sexier of the two volumes. The grooves within this pack have the same sound and feel you would expect to hear at a belly-dance. Broaden your Arabic percussion samples further by adding Hamsa Vol. 2 Arabic Percussion to your hard drive today. 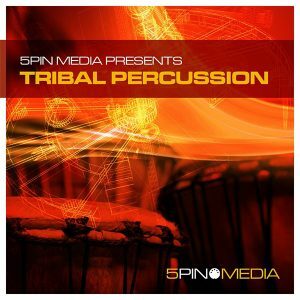 Tribal Percussion by 5Pin Media is a collection of exotic shakers and world percussion. Think crunching, blistering rhythms and you are in the right ballpark for this pack. Tribal Percussion contains 610 REX formatted loops, 479 MIDI loops, 18 construction kits and 34 multi-sampled instruments for NNXT, Sampler, and Kontakt. These loops have been performed by live percussionists, providing you with authentic rhythm and groove, unquantized. A versatile package of tribal sounds, MIDI, rhythm, and grooves performed on instruments such as Cajon, Mandal, Agogo, Djembe and many more Arabic and World Music staples. This collection is ideal for any producer working in House, Techno, Afro-Latin and Cinematic genres. This pack combines General MIDI standard, sampler presets and unique grooves to present you with a versatile collection of tribal percussion sounds. Each sample within this pack represents the high quality we have grown to expect from 5Pin Media, expertly recorded and mixed for your consumption. What is particularly impressive about this pack is the attention to detail when sampling. The multi-sampled instruments have been captured using velocity layering and round robin playback. This ensures that no two hits will sound the same, making pack sound as realistic as possible. Another major strength of Tribal Percussion is the MIDI loops. Having MIDI loops available allows you to edit the grooves to suit the track you are working on, without compromising on the audio quality. Imagine you have already programmed a blistering 808 pattern and found a rhythmic pattern you love but does not match rhythmically. Open up your MIDI editor, shift the accents and retrigger using one of the multi-sampled instruments included with this pack. 5Pin Media has done an excellent job with this collection, check it out. As a producer, standing out from the crowd can be difficult. Arabic Drum Samples were very much the in thing at the end of the 90s, but have somewhat fallen out of favor in Pop music recently. Trap has shaken the musical landscape up and tipped it onto its head. You don’t have to spend too long listening to Trap before you start hearing the Arabic and Ethnic influences. Whether it’s a low droning drum or something more upbeat like the tabla, the revival is evident. Whether you’re after a series of unique and unusual sounding one-shots, or hypnotic rhythms, there is a pack in this article for you. After hearing a four on the floor 808 kick drum in every track on the Billboard charts, the infectious, strange rhythms of the East can be just what you need to help make your records stand out, and for that we recommend spending time listening to the individual demos on each manufacturers website. Add a little spice to your productions with Arabic samples today.